La Ferme de Picolo is superbly situated in the ancient village of Vieugy at the foot of the Semnoz mountain range bordering Les Bauges national park. While the historic lakeside town of Annecy is only a short drive away. 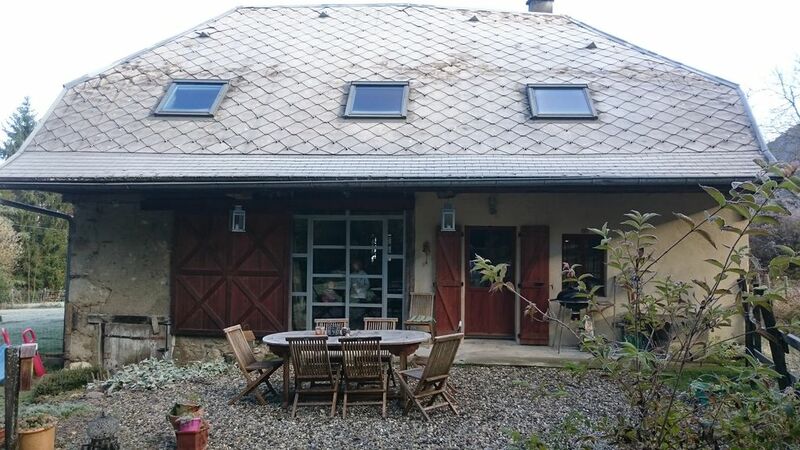 The property was set about 5 miles from Annecy in beautiful countryside. The house features modern rustic design and is very well equipped - it is a mixture of traditional and funky - we really loved it. The garden and setting are very peaceful. There is direct access to hiking and cycling right outside the door. The house is also mainly toddler-friendly, with lots of toys on offer. Catherine, the owner, was very helpful and entry and leaving was very easy. I can highly recommend this property: five stars. Pour les locations le week end, les draps et serviettes ne sont pas fournis.